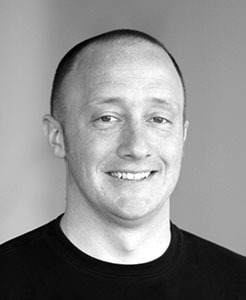 Sean Gallagher is the Director of Sustainable Design at Diller Scofidio + Renfro, a 115-person interdisciplinary design studio that integrates architecture, the performing arts, and the visual arts. Sean’s research has focused on re-evaluating the traditional relationships between public and industrial territories within urban and suburban environments to accommodate and sustain an increased level of demand for social space and industrial services. His projects include the United States Olympic Museum, United States Massena Land Port of Entry, China's South Sea Pearl Eco-Island, Google's New York City Urban Ecology Pier, Columbia University's Business School Towers, and Chicago's Rubenstein Forum. He has presented his work in national and international exhibitions including keynote lectures at AIA's “United States Goals for LPOE: Design Excellence, Sustainability, Security and Transit” and Green Building Council's “Buildgreen Argentina + Expo 2014 International Conference." Sean’s work has been widely published and recognized with a range of significant awards from the AIA, US Federal Government, and the Academic community. Sean is currently Adjunct Faculty at Columbia University’s Graduate School of Architecture, Planning, and Preservation, and New Jersey Institute of Technology School of Architecture. He is also a board member for the Embankment Coalition, an organization that will turn Jersey City's downtown abandoned Pennsylvania raised rail into a public park and wildlife refuge.